I was not a meatball lover when I was a kid. This was partly because my mother’s version of meatballs was this thing called Surprise Balls, and it was my least favorite meal of all. Surprise Balls were large (about the size of a goose egg) ground beef balls with rice and tomato paste mixed in. The rice never quite seemed cooked, and the paste made it dry and depressing. But I recently started thinking about tiny meatballs because Eve (14) is obsessed with Italian Wedding soup, and every time she buys it at the supermarket, I think to myself, I can do better than that! Plus, I want her to eat organically so that means, for now, we have to make it ourselves. So I decided to make a big batch of tiny meatballs and freeze them for multiple uses. In fact, I might just designate March as Tiny Meatball Month and do a series of blogs on all the things you can do with tiny meatballs (foodwise, I mean). This recipe for tiny meatballs is a combination of my Sicilian mother-in-law’s recipe (she calls for chopped onions) and my Abruzzise grandmother-in-law’s recipe (she calls for chopped garlic). I took both the onions and the garlic out because I think if you want either of those things, you can add them to whatever you are serving the meatballs with. Interestingly, the main difference between this meatball recipe and the one for Italian sausage is the addition of fennel to the sausage. So if you want to make tiny sausage meatballs, just add fennel. (Although, my actual sausage recipe does not use breadcrumbs or egg, either). You could, if you want, make these into big meatballs, too. But big meatballs are just kind of big and boring to me. Tiny meatballs are so cute and bite-size. Also, I experimented with whether to roll perfect little balls between two hands (slow!) or pinch off little balls (faster). After they are cooked, you can’t tell which was which, so I say pinch and get it done faster because cooking all these meatballs is a fairly tedious process. ALTHOUGH, the whole point of making such a big batch is to freeze them so that later you can just quickly pop them into or onto whatever you are making. So this is a good Sunday kind of activity. When it’s all mixed together, put some olive oil into a frying pan (I prefer cast iron) and start pinching little balls the size of marbles and putting them into the pan. To freeze tiny meatballs: Put the cooked meatballs on a baking tray in a single layer (not touching each other) into the freezer. 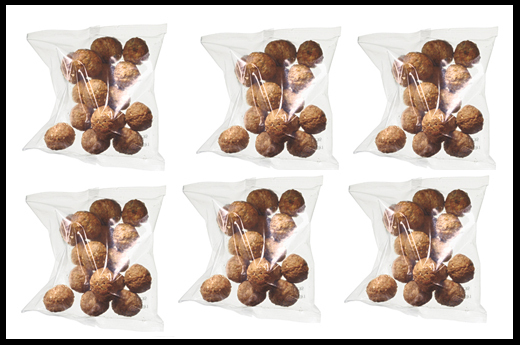 After they are frozen (about 1 to 2 hours), put them into a plastic bag (labeled and dated) and keep until you need them. My next blog will be about all the things you can do with tiny meatballs. And a few yummy recipes will follow! 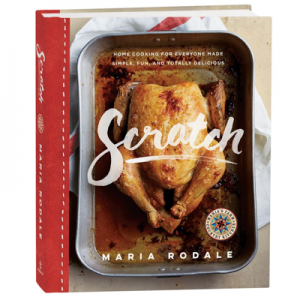 Maria, I also had an Italian grandmother and your ingredients were exactly as mine but add a little oregano and the flavor is SKY ROCKETED! Certainly, although I have never baked tiny ones. Probably have to experiment with the time. Have you tried using oatmeal instead of bread crumbs? My mother always did, and so do I. It has the advantage of being unprocessed, and I think it tastes better. The texture is fine, too. I bake my meatballs. I owned a Pizzeria Restaurant for over 28 years. My recipes are on my blog, which has over 5000 hits and many from this site. Meatballs, meatloaf, swedish meatballs and italian wedding soup. go to mamagrecipes.blogspot.com. and sorry Marie, but if you don’t put garlic in your meatballs than that’s just not Italian. Any questions just ask. If you Follow this recipe. It will take 4 minutes to mix everything together and 4 minutes to roll the meatballs ( If you are fast enough!) and 20 minutes to cook. So, no excuses. Fresh delicious tasting meatballs in 28 min. 1 tsp each of Salt, Garlic Powder and Dry Basil. 1 cup of grated cheese, Peccorino Romano. 1 1/2 cup of bread crumb. 1. First 6 ingredients above Mix In Large Bowl with whisk or fork. 2. Place Chopmeat in bowl and mix. 3. Put in Breadcrumbs a little at a time while mixing . You should be able to feel that you can make a meatball that feels moist but not soaking wet. If you feel it is too wet add more breadcrumbs. You can use an ice cream scooper or cup the palm of your hand and fill it with the mix. Squeeze it down than Roll your hands together making a ball. adjust the size of the meatball to your liking. Add little bit of water to bottom of pan. little more than to coat it, but not for it to over flow. This will keep the meatballs moist and not to stick to the bottom of pan. Place meatballs side by side. They can touch each other but, don’t squish them. Place in oven on middle rack @ 450 degrees for about 20 minutes or until you see the meatballs cooked on top. You don’t want them dark just alittle crispy and firm. cut one in 1/2 and if chopmeat is fully cooked it is done. take out Meatballs with flat spatala with holes in it. So this way you can drain the liquid from the pan off the meatballs. Place meatballs in flat dish or pan don’t double stack them until they cool off. otherwise you will have meatsauce instead of meatballs!!! Also, Meatballs now can be put into sauce that is already cooked. (different sauces are on my blog) they also can be frozen. I like to freeze them with the sauce. Taste as good as first made it used within 2 months. Can make: Meatball Parmigiana. just add meatballs, sauce and mozzeralla cheese bake in oven. Roll meatballs small. same exact cooking instructions. after cooked place meatballs in a roasting pan. Add this Gravy Topping Mix to top of swedish meatballs and bake for 5 minutes @ 400 degrees. Cook until lightly brown. Water – fill heinz gravy jar w/ water. mix all other ingredients in pot. beat with whisk and cook on med low heat. No need to make it hot. Just enough so all the ingredients blends well. (blends well when it is warm) make sure you watch it because it will burn. Pour on top of swedish meatballs and bake. NOTE: If you want to make side noodles keep 1/2 cup of mix above for noodles. Noodles: Cook noodles & drain. Place in separate serving bowl. 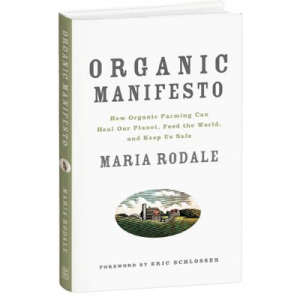 Hi, Maria, I’m new to your site and enjoy it as much as I enjoyed your grandfather’s Rodale’s Organic Gardening every month. I’m happy to see the love of land and country passing down the generations. Regarding the meatballs, I use oatmeal instead of breadcrumbs because I like the taste of it. And yes, I have made tiny meatballs for freezing when the kids were young. They loved them. I have just ordered your Organic Manifesto. I don’t have a garden now because I live in a little apartment in the city, but organic gardening is my favorite reading and my passion. Now I’m hungry. lol. I’ll have to try this. Do you know if I can put them up by canning instead of freezing? I soak torn up bread in milk instead of crumbs, and use grated cheese with garlic, parsley and onion thru processor to make it fine. From one Maria to another, these were delicious! What’s more, my picky eater ate five of them. More than I’ve ever seen her eat of any kind of protein. Thanks for a great recipe!